LONDON — English Premier League standings and results after round 22 on Jan. 21 and 22, with Chelsea continue to lead the way after picking up another win. The Blues slipped past short-handed Hull City 2-0 at Stamford Bridge to go eight points clear atop the Premier League standings with 55 points. 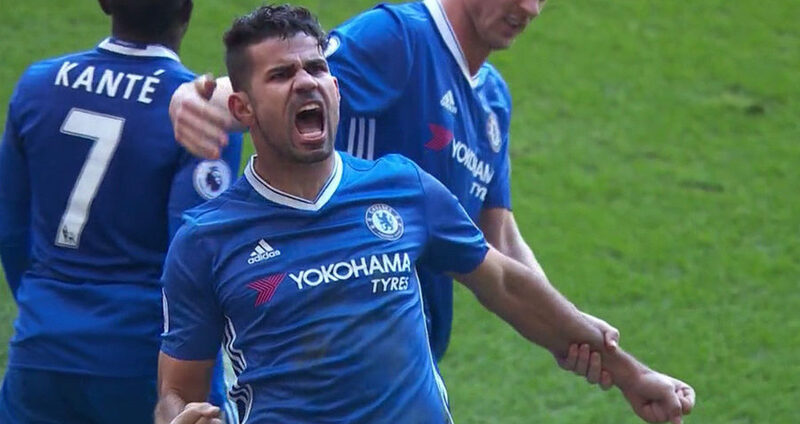 Diego Costa made a goalscoring return to the team, while defender Gary Cahill added the second for Chelsea in the victory on Sunday. It the 18th league win of the season for Antonio Conte’s men who admitted that they now believe the title is theirs to lose. Arsenal moved up to second place on 47 points and are back in the Champions League spots after a late 2-1 win over Burnley on Sunday. Alexis Sanchez netted the winning goal for the Gunners in stoppage time, moments after Burnley had scored the equaliser from the penalty spot as well. Tottenham, who rallied from being down 2-0 to draw 2-2 with Manchester City, are in third place on 46pts, with Liverpool dropping to fourth, following a 3-2 defeat against Swansea City. The Top 10 is completed by fifth-place Manchester City with 43pts, Manchester United (41), Everton (36), West Bromwich Albion (32), Stoke City (28) and West Ham United (28). Siting 11th through 15th are Southampton, Bournemouth, Burnley, Watford, Leicester City. Meanwhile, Crystal Palace, Hull City and Sunderland are currently sitting in the bottom.